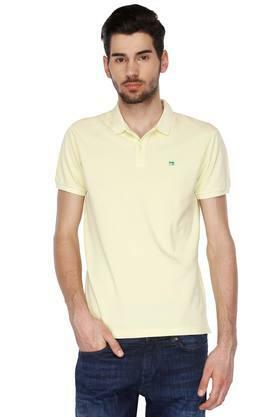 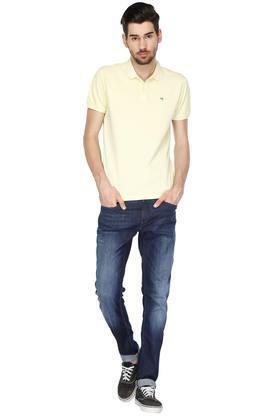 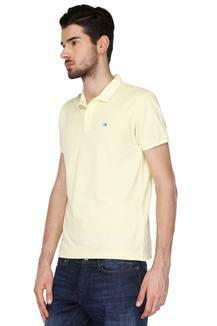 Inspire a trendsetting look with this polo t-shirt from Scotch & Soda. Made from good quality fabric, this solid t-shirt have perfect fit for your convenience. 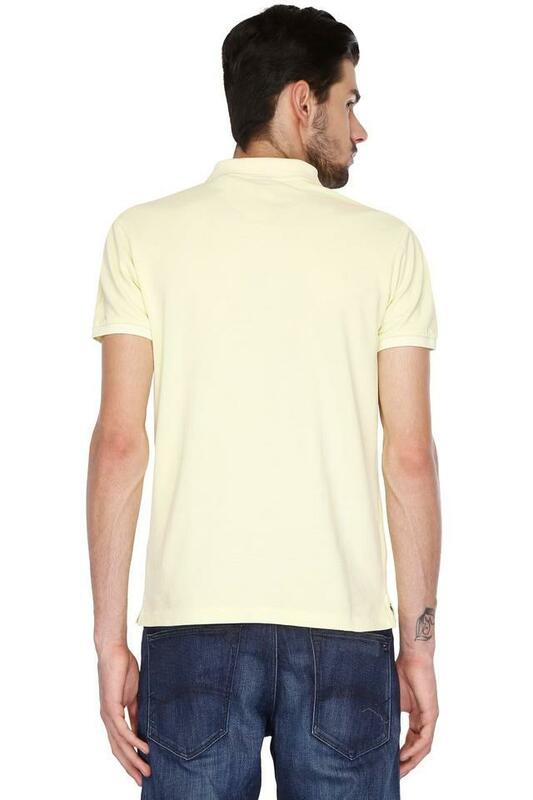 This unique t-shirt features half sleeves that add look to it. Wear your attitude with this polo t-shirt. Team it up with a pair of lightly distressed jeans and casual shoes for an uber-cool look.